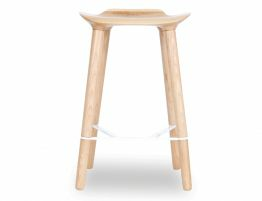 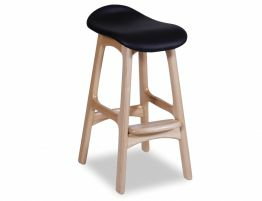 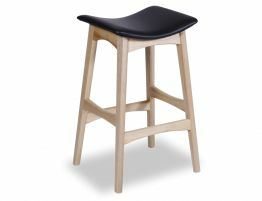 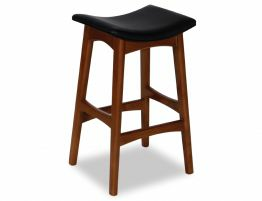 The seat of our Nordic Premium wood bar stool offers cushioning and a form that promises maximum comfort. 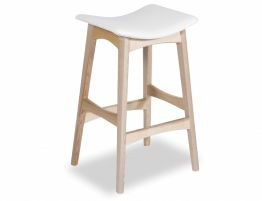 This mid century, Scandinavian and Danish vintage style furniture Johanne Andersen reproduction is constructed with care and attention to detail and arrives fully assembled. 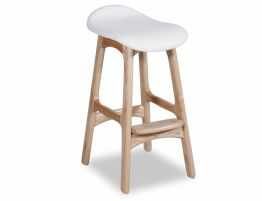 Put these Danish design bar stools along your counter dining area, your breakfast bar or wherever you want the organic inspired Danish style of these winning furniture pieces. 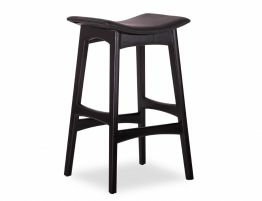 Let gorgeous Nordic Premium Bar Stool Walnut American Ash w/ Black Italian Leather Seat elevate your modern and contemporary interiors.